The same man sentenced last month for breaking into Taylor Swift's Tribeca townhouse to take a nap was nabbed again Thursday after he allegedly used a concrete block to smash a glass patio door and ransacked her place, cops say. Adam Kuperstein reports. The same man sentenced last month for breaking into Taylor Swift's Tribeca townhouse to take a nap was nabbed again Thursday after he allegedly used a concrete block to smash a glass patio door and ransacked her place, cops say. Roger Alvarado, of Florida, allegedly climbed a ladder outside Swift's Franklin Street digs, used the block to smash the door and went inside. Police say Alvarado ransacked the place; a computer was found by the door. Alvarado was charged with stalking, burglary, criminal mischief and other crimes. It wasn't clear if anyone was home at the time of the break-in, nor was it immediately clear if Alvarado had an attorney who could comment for him. 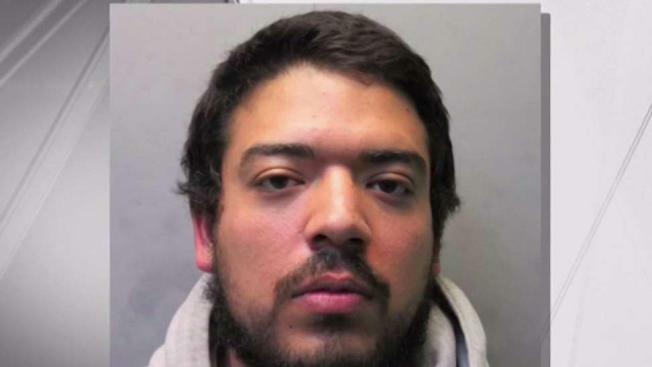 Alvarado was sentenced barely a month ago, on February 5, to six months in jail after pleading guilty to criminal contempt and attempted burglary in connection with the April 2018 break-in at Swift's Tribeca home. Cops found him asleep in that case -- after he had taken a shower. The pop star wasn't home at the time. According to city court records, Alvarado's release date was the same as his sentencing; he had apparently spent months behind bars after his arrest and got time served. He was also supposed to serve five years' probation and complete a mental health program. Thursday marks the third time in less than a year Alvarado has gotten in trouble at Swift's townhouse. He was arrested at the same address in February 2018 on charges of breaking the front door with a shovel.